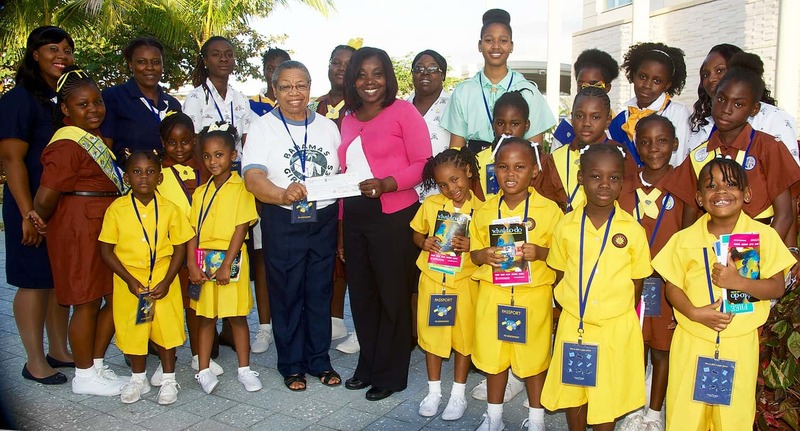 In recognition of International Women’s Day and to help celebrate Bahamas Girl Guides Week, Nassau Airport Development Company (NAD) officials invited members of the Bahamas Girl Guides Association (BGGA) to tour Lynden Pindling International Airport (LPIA). The tour was designed to encourage the girls to consider careers in the field of aviation and to expose them to vocations in Science, Technology, Engineering and Mathematics (STEM), where women are often under-represented. In addition to the tour, NAD presented the Association with a donation collected from passengers in special collection boxes positioned at LPIA to assist local non-profit organizations. The funds will go towards the construction of the group’s new headquarters, which will include meeting rooms, office spaces, training areas, accommodations for girl guides visiting from other countries and other essential work areas. “We applaud the Bahamas Girl Guides Association for the positive work that they continue to do with girls and young women in our community, and we are happy to be able to contribute to their efforts to shape and mould girls and young women,” said Jan Knowles, Vice President of Marketing & Communications at NAD. 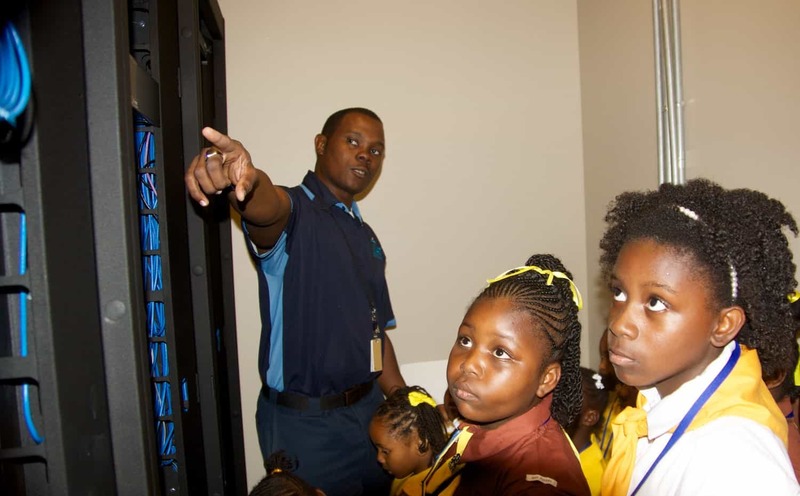 The guides visited the IT communications rooms, nurses’ station, Bahamas Customs, various terminals and saw the baggage handling systems up close. Careers as engineers, IT technicians, air traffic controllers, pilots and entrepreneurs are just a few of the possible occupations currently available at LPIA. As a part of the airport’s community outreach program, NAD conducts regular tours for students from preschool up to the college level. The guides described their trip to the airport as an “awesome” experience. Ms. Anita Bernard, President of the BGGA, thanked the team at NAD and LPIA for showing the girls another side of the airport and for their financial support. 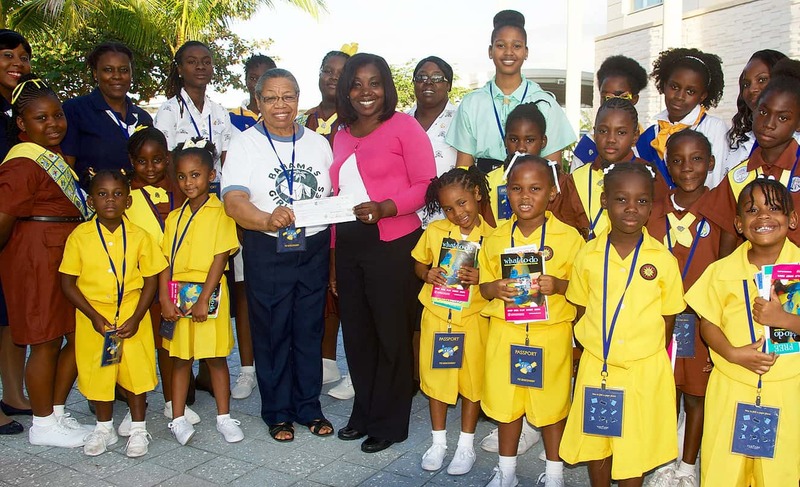 “We appreciate NAD’s generous support of the Bahamas Girl Guides Association, which will help to make our goal for a new space a reality,” she said. The BGGA began operating in the Bahamas in 1915. It comprises girls aged five and up in groups including the Sunflowers, Brownies, Guides and Rangers. The recent tour is a part of NAD’s ongoing anniversary celebrations. The company is counting down to April 1, 2017, its 10th anniversary as operator at LPIA.